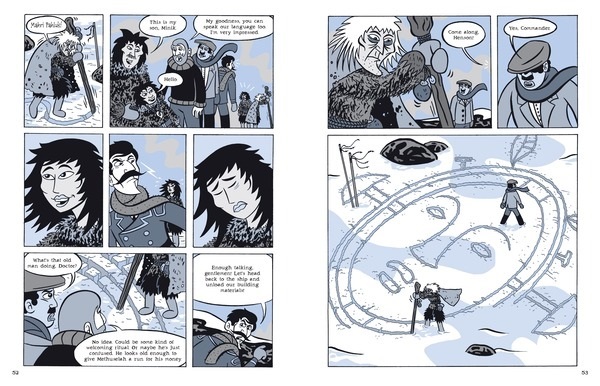 Free Book Friday: Graphic Novel Giveaway! Happy Friday, everyone! Congratulations to Rhonda Peña, who won copies of two Brian P. Cleary books. Rhonda, please email your address to publicity@lernerbooks.com so we can get your books in the mail! 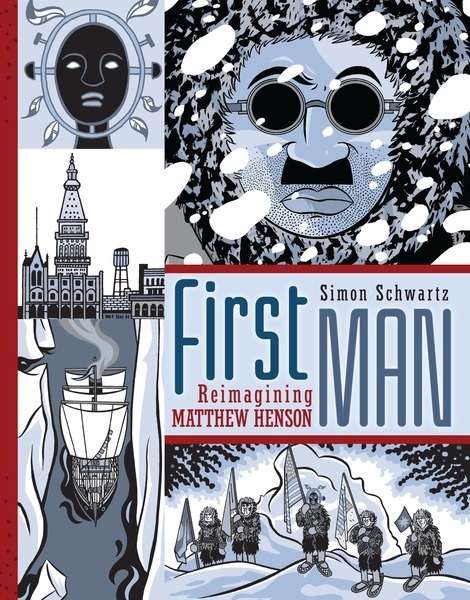 This week, enter to win First Man: Reimagining Matthew Henson by Simon Schwartz. In this graphic novel, Simon Schwartz weaves biography and fiction together to explore the life of Arctic adventurer Matthew Henson. Moving between different time periods and incorporating Inuit mythology, Schwartz offers a fresh perspective on the many challenges Henson confronted during his life. As a member of early missions to reach the North Pole, Henson braved subzero temperatures and shifting sea ice. As an African American at the turn of the twentieth century, he also faced harassment and prejudice. Henson won a place on Arctic expeditions through skill and determination—though he didn’t receive the same credit as his teammates. He also won the respect of the native peoples he met during his journeys—though he couldn’t prevent the harm that the expeditions caused them. More than a biography, First Man: Reimagining Matthew Henson is an artistic homage to Henson’s accomplishments and the complicated realities of being a trailblazer in a society that didn’t recognize black men as equals. @LernerBooks. bit.ly/1OrSN“ Make sure to check the blog next week to see if you’ve won!